Aaron Thompson is a nationally recognized leader in higher education with a focus on policy, student success and organizational leadership and design. He currently serves as the President of the Kentucky Council on Postsecondary Education. Prior to this appointment, he served as the Executive Vice President and Chief Academic Officer for the Council and as Professor of Sociology in the Department of Educational Leadership and Policy Studies at Eastern Kentucky University. He recently served as Interim President of Kentucky State University. Dr. Thompson holds a Ph.D. in Sociology in areas of Organizational Behavior and Race and Gender Relations. His leadership experience spans 27 years across higher education, business and numerous non-profit boards. Thompson has researched, taught and consulted in areas of diversity, leadership, ethics, multicultural families, race and ethnic relations, student success, first- year students, retention, cultural competence and organizational design throughout his career. Christina Milano has a significant track record working with non-profit organizations throughout the nation. These include college access programs, statewide networks, as well as arts, health and education-focused groups. Her expertise is in program evaluation and management, strategic planning, replication, organizational development, fund raising and fiscal management. Tina has authored guidebooks and provided counsel on creating local programs and regional and statewide networks. Milano was executive director of the Cleveland Scholarship Programs (College Now) for 14 years where she worked closely with the Cleveland schools and numerous community partners. She co-founded and became the first executive director of the National College Access Network. During her tenure, that organization’s membership grew from 28 to more than 250 organizations. Tina has been instrumental in helping create dozens of college access programs in cities and states as well as in under-resourced rural areas throughout the country through needs analyses and providing blueprints for creating each organization. She has worked with organizations around the country in helping raise millions of dollars from government, foundation and individuals. These efforts range from advocating with federal and state officials to grant writing to advising on direct mail outreach. Milano recently served as the CEO of a non-profit health provider where she conducted an evaluation of all client services. This evaluation led to the reconfiguration of most existing client services and introduction of new, more impactful, evidence-based programs – and a stable financial scenario for the organization’s future. A resident of Moreland Hills, Ohio, Tina serves as an officer of the National Community and Education Partnerships and formerly served as a board member of Citizens Academy, the Cleveland Bar Association and other non-profit organizations. She holds a degree in accounting from the City University of New York. Lisa Brady Gill is a strategic, results oriented Education Management leader passionate about leading and growing teams and organizations with the mission of success for all students regardless of status, circumstance or age. She has spent her career leveraging a broad national network spanning the business, policy, education, foundation and non-profit sectors. Ms. Gill recently joined Edmentum as VP, Strategic Initiatives & Partnerships. In this role she leads Edmentum’s engagement with education, non-profit , government, policy, philanthropic and corporate organizations. Her current work is particularly focused in workforce, rural and urban areas to ensure through educators, all students have equitable access to quality experiences and resources resulting in positive educational and life experiences. Prior to joining Edmentum, Ms. Gill served as Senior Director, External Engagement, Public Affairs at ACT, Inc. In this capacity, she led a team of strategists and policy researchers in the areas of K-12, PSE and Workforce responsible for creating innovative alliances and partnerships that led to actionable research, policies, solutions and new revenue opportunities serving ACT’s strategic agenda outside of the traditional assessment space. Ms. Gill enjoyed a long term career at Texas Instruments, serving in multiple senior leadership roles. During her tenure at TI, she was responsible for policy, marketing and field marketing, public relations and communications, professional development, systemic initiatives and strategic partnerships to name a few. She created the first research department for TI’s Education Division, as well as led the team pioneering early support of GEAR UP and NCCEP which continued and grew throughout her tenure. Ms. Gill partnered with a local school district to create a research based pre-algebra solution that once proven effective, was scaled nationally. Ms. Gill’s previous roles include serving as a founding member of the national education start-up, Voyager Expanded Learning, as well as an educator in the Richardson Independent School District. She has valued her service on multiple national and local boards and committees throughout her career. She holds a master’s degree in early childhood education from Texas A&M, Commerce and a bachelor’s degree in education from the University of Texas at Austin, graduating with honors from both institutions. Giuseppe “Seppy” Basili is executive director of the Jack Kent Cooke Foundation. Basili is a leading K-12, college readiness, and higher education expert, with 30 years of education industry experience. Before his appointment as executive director, he served as director of strategic initiatives and chief operating officer at the Foundation. Basili has authored many publications articulating his perspectives on college access and admissions and has been featured by The New York Times, NPR, and the Today Show among others. Prior to joining the Foundation, Basili served as vice president and general manager of college admissions and K-12 programs for Kaplan Test Prep, overseeing all product creation and implementation of the K12 custom curriculum business during his 16 years with the company. He developed valuable partnerships with hundreds of school districts all over the country, including Chicago Public Schools and the Los Angeles Unified School District. He was responsible for test preparation programs, college admissions services and publications for the SAT, ACT, and PSAT exams. A graduate of Kenyon College, Seppy holds a Bachelor of Arts in History as well as a law degree from Emory University and a Master of Arts in Educational Policy from the University of California at Berkeley. Jack Buckley is President and Chief Scientist at Imbellus, an assessment technology startup. Imbellus builds simulation-based assessments to evaluate how people think instead of what they know. Imbellus works with leading employers to define and evaluate skills essential to daily work and life, building a real-time understanding of what "21st century skills" really are. Imbellus is a pioneering and interdisciplinary team of learning scientists, game developers, artists, AI/ML engineers, and data scientists backed with $23M in venture funding and already working with Fortune 100 customers as our real-world R&D partners. Dr. Buckley has a deep background in applied statistics and education research. Before joining Imbellus, he led all research and evaluation work as senior vice president at the American Institutes for Research, where he still holds a position as senior fellow. Prior to that, he helped lead the redesign of the SAT at the College Board, where he served as senior vice president of research and was responsible for all research and psychometrics across their entire range of products and services. He also served as Commissioner of the U.S. Department of Education’s National Center for Education Statistics (NCES). In that role he was responsible for the measurement of all aspects of U.S. education, including conducting the National Assessment of Educational Progress and coordinating U.S. participation in international assessments. While at NCES he also acted as a senior technical adviser to Department of Education leadership and co-chair of its Data Strategy team. Additionally, he served as Deputy Commissioner of NCES earlier in his career. Dr. Buckley has also has researched and taught applied statistics as a tenured associate professor at New York University and as an assistant professor of education research, measurement, and evaluation at Boston College. A former U.S. Navy surface warfare officer and nuclear reactor engineer, he holds doctoral and master’s degrees in Political Science from SUNY Stony Brook and a bachelor’s degree in Government from Harvard. Dr. Martha A. Cantu currently serves as the Executive Director of College and Career Readiness for the Texas Valley Communities Foundation. She most recently served as the Vice President for Student Affairs at The University of Texas Pan American. Prior to her appointment as vice president, Cantu was the director of UTPA's Gaining Early Awareness and Readiness for Undergraduate Programs (GEAR UP). The UTPA GEAR UP Project was the second largest grant in the nation and under Cantu's leadership was recognized nationally as a model of best practices by the U.S. Secretary of Education. Her professional experience at UTPA began over twelve years ago as an adjunct faculty member teaching graduate classes in the College of Education. Her passion for students began in 1985 as an educator in the Pharr-San Juan-Alamo Independent School District and later served as the director of special education for the McAllen Independent School District. Her extensive professional working experience with principals, superintendents, teachers and families in the Rio Grande Valley K-12 school districts has been an important component of student success in the Rio Grande Valley. Cantu received her bachelor, master and doctoral degrees from UTPA. Robert Dais is the Statewide Director of GEAR UP Massachusetts. At its height, his program served over 7,000 students throughout the Commonwealth. GEAR UP MA operates in seven high need cities throughout the state. Robert brings over twenty years of experience in the areas of educational leadership, curriculum development and management to his position. He began his teaching career at The Nativity Preparatory School of Boston, MA. He has served as Coordinator of Diversity at Proctor Academy in Andover, NH, Principal of the Epiphany School located in Dorchester, MA and mathematics teacher at City on a Hill Charter School and Roxbury Preparatory Charter School. At Roxbury Prep he co-authored the textbook entitled, Calculated Success: A Step by Step Guide to Balanced Math Instruction that Works. Additionally, Robert hold licenses as a financial specialist in the area of investments and insurances. A native of Philadelphia, PA and graduate of Villanova University, Robert holds a B.S. in Business Administration and a M.A. degree in Middle School Education from Clark Atlanta University. Scott Giles is President and CEO at the Vermont Student Assistance Corporation (VSAC). 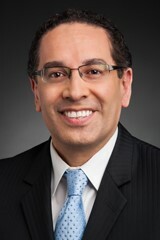 He previously served as Vice President for Operations, Social Marketing and Strategy. Prior to joining VSAC, Mr. Giles served as Deputy Chief of Staff of the House Committee on Science. In that role he advised the Chairman on education, space and research policy and managed the Subcommittees on Research and Space and Aeronautics. From 2008-2009 he served as Chair of the Federal Advisory Committee on Student Financial Assistance where he was regularly consulted by Congress and the executive branch on matters related to access and affordability. Giles has also served on the professional staff of the Senate Committee on Health, Education, Labor, and Pensions where he advised the Chairman on budget, education and research policy. Prior to joining the Committee, he worked for ten years as a Senior Associate and team leader at Cassidy & Associates where he provided government and public affairs services to colleges, universities, hospitals and non-profit organizations. From 1982-1986, he served as legislative director for the Honorable Frank Horton (R-NY). He holds a BA in religious studies from St. Lawrence University and an MA in religious ethics from the University of Virginia. He holds a doctoral degree in ethics from the University of Virginia. Juan currently serves as the Lillian Radford Distinguished Visiting Professor of Practice at Trinity University in San Antonio, Texas. Prior to Trinity University, Juan was PBS’s Senior Vice President for Station Services where he led a team focused on strengthening local PBS stations nationwide by activating the PBS network across the country so local staff and volunteers could meet and build relationships, share ideas and experiences, strategize, act together on key public media issues, and help drive innovation system-wide. His team introduced a new set of programs and activities where local member station staff, volunteers, and community partners participated in regional network meetings, national action summits, leadership and professional development, and strategy work. Prior to PBS, Juan served as the Senior Advisor for Hispanic Affairs at the Democratic National Committee (DNC). He led the DNC portion of the Latino Obama 2012 team, helped build a national Latino community leaders network, and helped set record-level Hispanic participation in the 2012 Democratic National Convention. In the Obama Administration, he served as Executive Director of the White House Initiative on Educational Excellence for Hispanics, where he designed and led the first-ever White House Hispanic Policy Conference along with a series of Hispanic Community Action Summits across the country that brought together representatives of White House offices, federal agencies with Latino community leaders to build relationships and partnerships to tackle key community issues. Before joining the Obama Administration, Juan was a senior executive, strategist, and advocate in the nonprofit and philanthropic communities, with a focus in community development, capacity building, leadership development, and transformational management for more than 20 years. He was president of The Common Enterprise, which he founded in 1995 as an outgrowth of a national Rockefeller Foundation initiative to help build stronger communities across America by making nonprofits, philanthropic organizations, governments, businesses, and communities more effective as they tackled significant critical social issues in more than 35 states and nationally. Juan is the third Latino ever awarded a Rhodes Scholarship. He graduated from Harvard College with a B.A. in Government and also holds a M.A. in Politics, Philosophy & Economics from The Queen’s College, Oxford University and a J.D. from Stanford Law School. Dr. Stack is the associate vice president for Access, Innovation and Research at Northeastern Illinois University and the director of The Chicago GEAR UP Alliance and The Center for College Access and Success. Stack has directed Chicago GEAR UP since 1999, currently serving over 15,000 students and their families. Stack holds degrees from McGill and McMaster University and received her Doctorate of Philosophy in leadership and from Antioch University. Stack’s dissertation focused on the impact of parent involvement on student success in Chicago’s GEAR UP communities. Her leadership in STEM initiatives and college success led to recent grant awards from National Science Foundation, a Title III HSI-STEM, and a Title V grant.